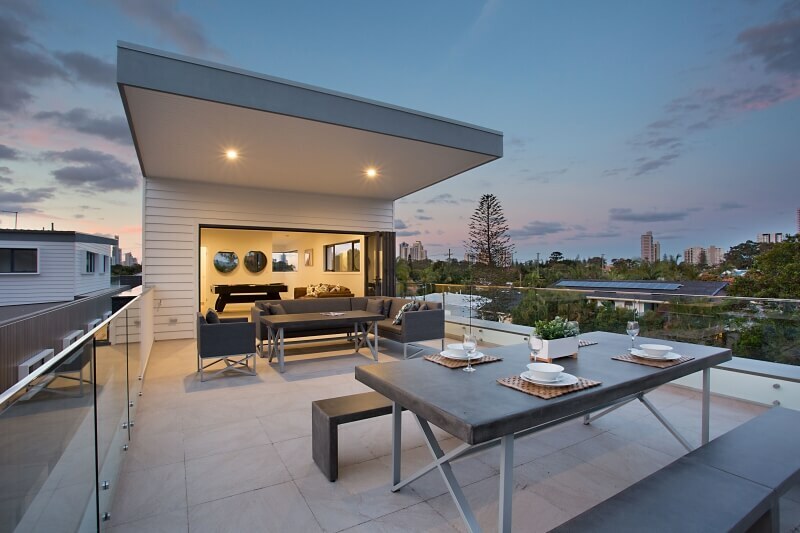 We’re thrilled to introduce you to the latest addition to the Elite Holiday Homes portfolio – Oasis on Savoy! 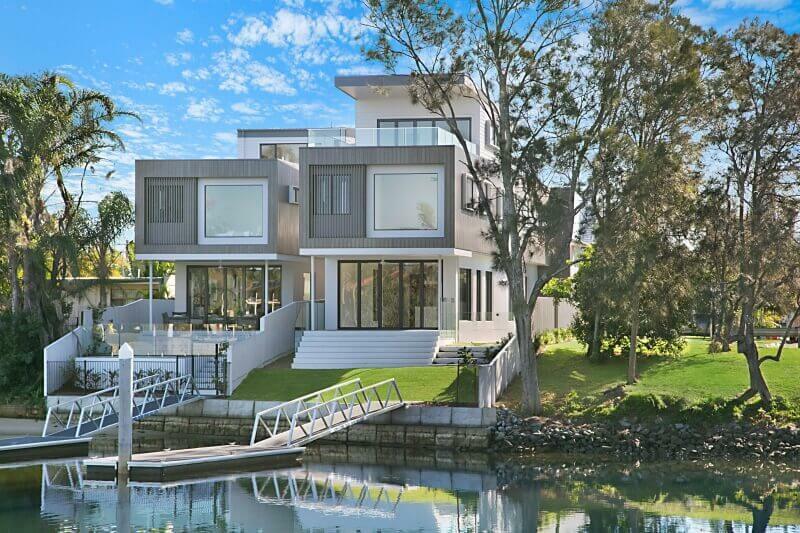 A brand new home perfectly poised to capture stunning water views, Oasis on Savoy is an ultra modern tri-level home with sunlit interiors and a contemporary elegance. Expansive glass promotes a natural connection with the waterfront and a private jetty is the ultimate in relaxation and luxury. With five bedrooms and bathrooms, this home is perfect for a family holiday or weekend getaway with friends. Soaring high ceilings allow natural light into all three living areas. Bi-fold doors open out to the terrace and grassed waterfront forming an extension of the sophisticated lifestyle space. Up another level you have a large living area with TV and Playstation, following the oak timber stairs up to yet another living area where you will find a pool table, bar fridge, Television and large doors opening onto the rooftop deck. 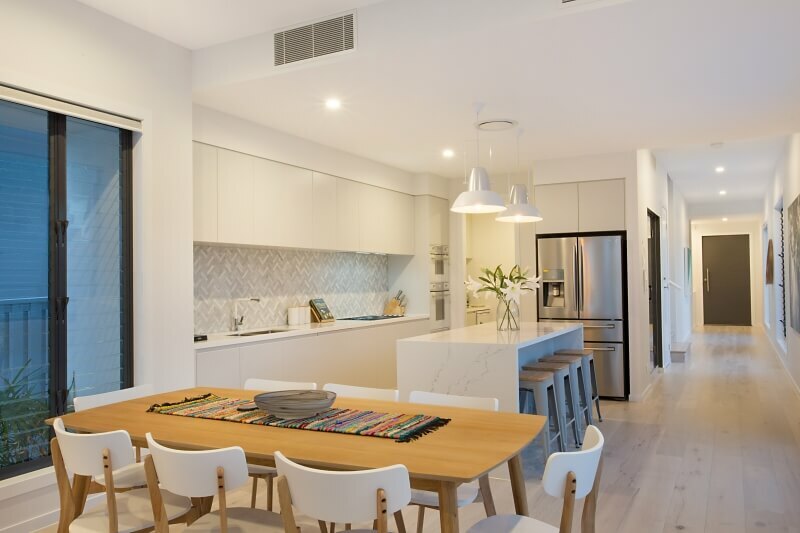 The ground level boasts an open plan designer kitchen with streamlined cabinetry, marble benchtops, Smeg white glass appliances and a butler’s pantry. The kitchen has perfect views of the pool, ground floor deck and waterfront. On the ground floor deck is a BBQ for you to enjoy waterside BBQ’s with friends or family or perhaps afternoon or sunset drinks on the rooftop deck. You could be one of the first people to experience this stunning, brand new property from just $400 a night. Give us a call on 07 5592 3881 to organise your stay.